When you need a garage door installation, work with a company you can trust. Our installation professionals are courteous, experienced, knowledgeable, and professional. With years of experience, we have the means and expertise to install all different types of garage doors. We’re committed to exceptional customer service, offering the highest quality of installation. Girard’s Garage Door Services provides Amarr garage doors and Clopay garage doors in a wide variety of colors, materials, and styles to suit your home. We're here for you every step of the way to install the garage door of your dreams, and our garage door installers can answer any questions you have regarding the characteristics of vinyl, steel, and wood replacement garage doors. We also offer carriage house style doors and wind loaded doors, better able to withstand the ravages of nature. Whether you need garage door replacement due to damage or if you are performing an affordable home improvement, garage door installation costs can be offset with Energy Tax Credits on specific models. Whether your home or building has structural or aesthetic challenges, or you’re just looking for something to set your property apart from your neighbors, Giard's Garage Door will get the job done and guide you through the entire process. We pride ourselves on providing the ultimate customer satisfaction experience. 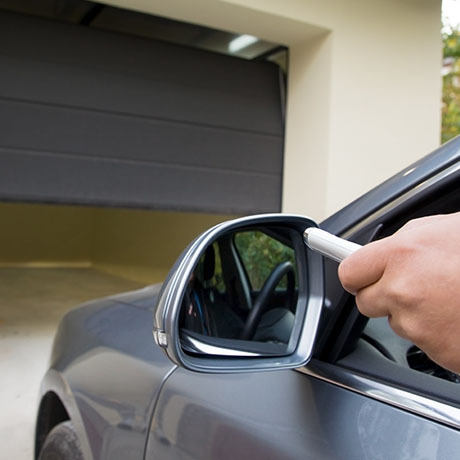 Your garage door safety and security is our top priority. Our commitment to high-quality service is allowing us to continue to expand in the garage door industry and we strive to go above and beyond with every garage door installation. We understand the inconvenience of a malfunctioning garage door. Contact Girard's Garage today for an estimate on all major brands, and the best warranties in the garage door industry near you. At Girard's Garage Door, we feature the highest quality doors and installation services. Our knowledgeable garage door installers can answer any questions you have regarding the characteristics of vinyl, steel, and wood replacement garage doors. Whether you prefer vinyl, steel, or wood, we can help you find the best option. We want to provide you with the best option to go with your personal taste and cost-effectiveness. We are equipped with same-day service for routine jobs and 24-hour emergency service. We pride ourselves on providing the ultimate customer satisfaction experience. Your garage safety and security is our top priority. We provide free estimates and, when you call, a live person answers the phone! Call today for personalized garage door repair and garage door replacement service on all major brands, and the best warranties in the garage door industry. We'd love to answer any questions you may have!